Have you ever thought what the impact of a fire at your student halls or house could be? Aside from the very real risk of injury, a fire could also destroy all your most treasured possessions and favourite things stored in your room. The majority of fires we attend at student accommodation start in the kitchen, often when someone has become distracted. 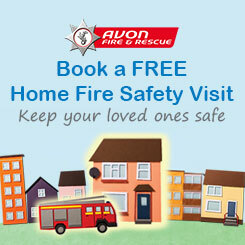 By following just a few simple steps you can reduce the risk of fire and the devastation it leaves behind. Most of the fires fire and rescue services are called to start in the kitchen, usually when cooking has been left unattended. If you’ve been drinking please give cooking a miss. If you fall asleep and your food catches fire you’ll wake up with more than a sore head…if you wake up at all. Show your smoke alarm some love and test it on a regular basis – it could save your life. And remember, if you do have a fire: Get out, stay out and call 999. Every time firefighters go to a false alarm it means they are not available to help people who might really need them at an emergency.